DTCs which are stored in the TCM can be displayed on the Techstream. 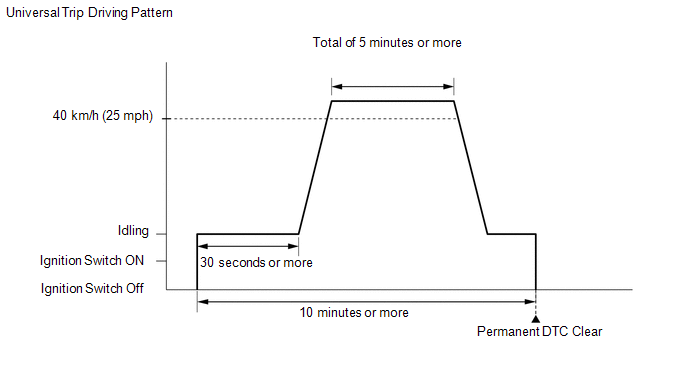 The Techstream can display the current, pending and permanent DTCs. Some DTCs are not stored if the TCM does not detect the same malfunction again during a second consecutive driving cycle. However, such malfunctions, detected on only one occasion, are stored as pending DTCs. 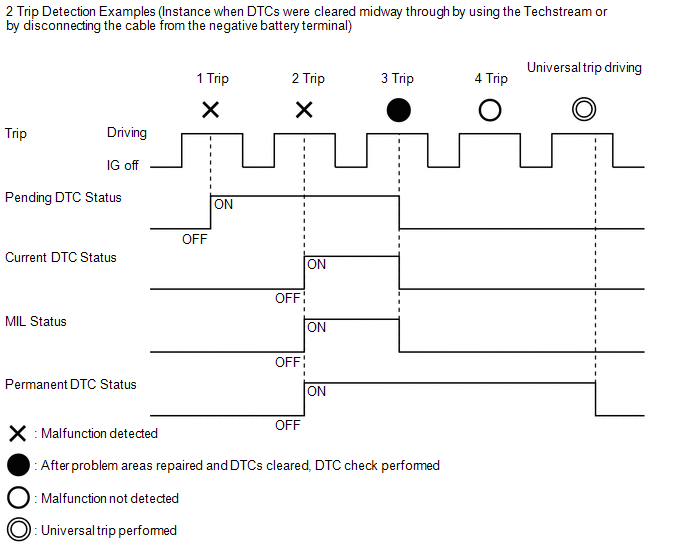 After clearing current DTCs using the Techstream (or by disconnecting the cable from the negative battery terminal), permanent DTCs can be cleared when the system is determined to be normal for the relevant DTCs and then the universal trip is performed. 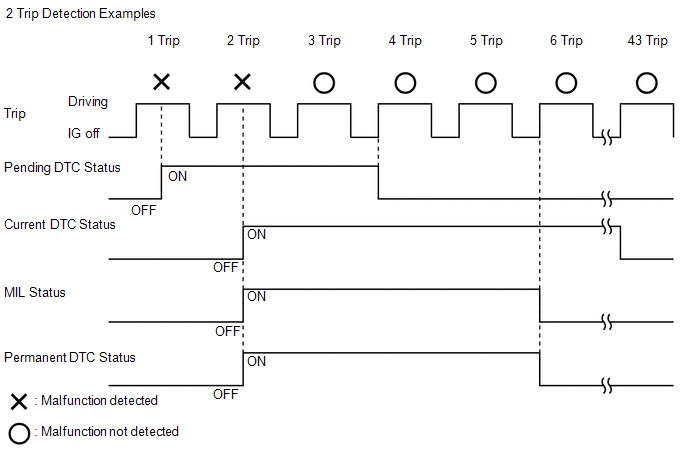 Even if the following procedure is not performed, permanent DTCs are cleared if no malfunction are detected during 3 consecutive driving cycles. (g) Perform the universal trip. When accelerating through the gears, make sure the vehicle is driven so all gears are used in order and no gears are skipped. (k) Enter the following menus: Powertrain / ECT / Trouble Codes. (l) Check that the permanent DTCs have been cleared. If the permanent DTCs have not been cleared, perform the universal trip again.